Serve salsa, guacamole and dips in the Thunder Group ML352B Bone White Melamine 8 oz. Salsa Bowl. 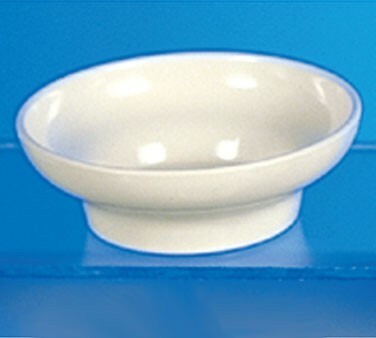 Boasting a fresh white color, this bowl will highlight the colors of whatever you are serving and its 8 oz. capacity offers plenty of room for generous portions. Constructed from melamine, this bowl is exceptionally durable and will not get scratched or chipped over time. For easy maintenance, it is dishwasher safe and stain-resistant. High quality bowls & fast shipping.